Happy Labor Day merry goers! It's been a pretty hectic week so it is really great to have a day off plus since it is connected with the weekends this is going to be a super long week! 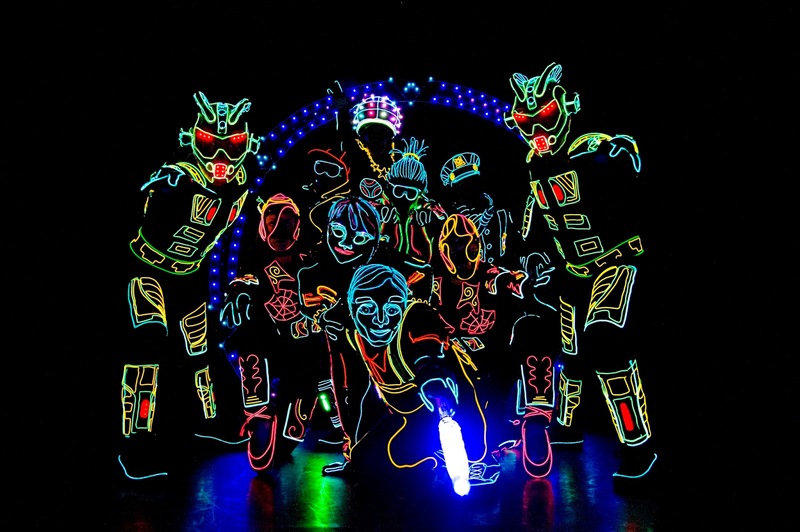 I see so many people travelling back to their hometowns or for holiday but for those of you who do not know what to do this weekend why not check out iLuminate Live in Resort World Genting? 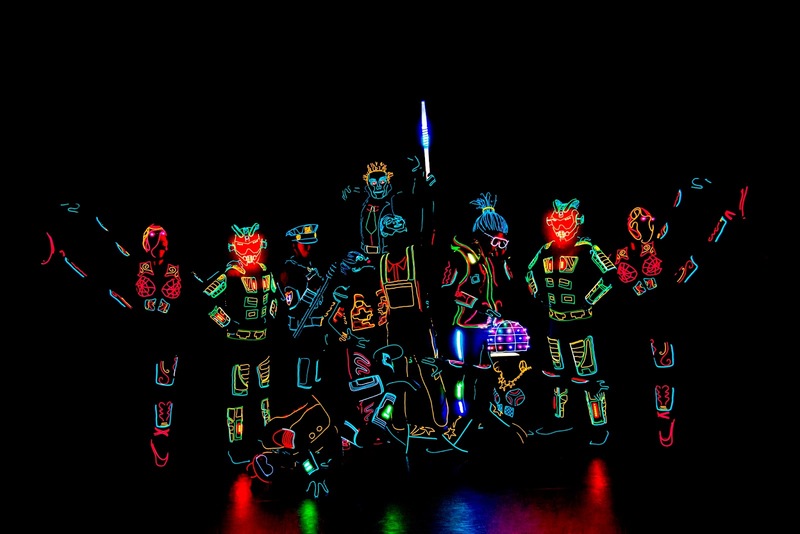 If you are a fan of America's Got Talent, you would be familiar with iLuminate who was the second runner up for America's Got Talent Season 6! They have also performed along Black Eyed Peas and Christina Aguilera plus featuring on shows like X Factor, Dancing with the Stars, The Ellen DeGeneres Show, and Good Morning America, as well as at music awards shows including the Billboard Music Awards and American Music Awards. AND they have finally come to Malaysian shores and will be performing at Resort World Genting until 18 June 2015! Can you believe it? I had the privilege of attending one of their shows a few weeks ago and it was a really good getaway thanks to RW Genting. I am telling you that you should really catch them live in action! They are really amazing like what I've seen on TV and videos. The weather up in Genting Highlands now is really pretty cold especially thanks to the recent rainy season so if you are looking for a cold getaway I would suggest Genting Highlands. 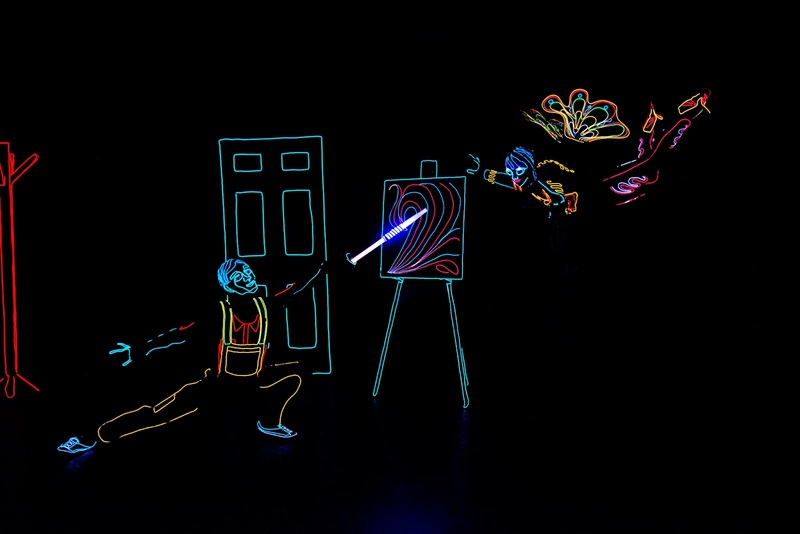 iLuminate was created by Miral Kotb based on her inspiration of fusing dance with cutting-edge technology. To achieve the vision she had in mind, dancers don trademark light-up suits that are controlled wirelessly and take to a darkened stage to perform choreographed dances and illusions, providing a unique performing arts experience. 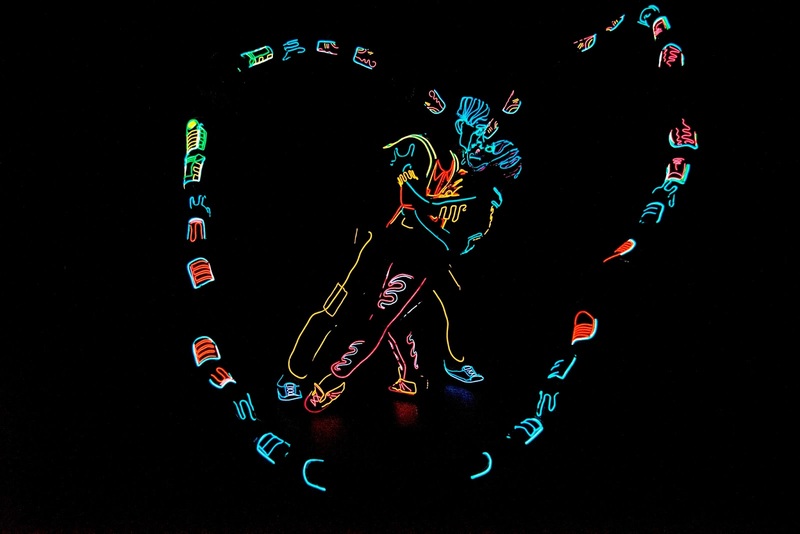 The team was really creative using the lights to create a love story on stage and the effect was really awesome. Here are some snapshots of the show to tempt you further. This scene was really cool as the guy was floating in mid-air. I am seriously telling you that the photos you see here will be exactly what you will experience at the iLuminate show. The main characters in the show which are the two lovebirds who go through some obstacles in their relationship. This is another of my favourite scene of the the two lovebirds happily in love. It is really awesome to see how with the use of light they created butterfly wings and also make the girl float in the air. I really don't want to create any spoilers for any of you so you really have to head on to Resort World Genting and enjoy the show yourself. Before the show you can get some merchandise or even this humongous cotton candy to enjoy during the show. The cotton candy is wrapped around the light stick but please do not switch it on during the show so that you can really experience total darkness and see how nice the light effects are. They also have some nice earrings and bracelets with illuminating lights to fit the theme of the show. After the show, if you're feeling hungry enjoy the buffet spread at Coffee Terrace just one floor below the hall. The spread of food is really good and you can really get your fill from it. Do remember to call for reservations just in case they are full. Now let me tempt you with some foodporn shots! Me and my desserts! I really liked the marzipan sweet treats! Enjoy freshly cut salmon which were really good. I took a mountain of it and really enjoyed it. If you are bringing some friends from abroad, they can enjoy some Malaysian cuisines at Coffee Terrace too. I really recommend the satay! Of course there are also Western cuisines which were equally delicious as well. I am so craving for the Lamb and Grilled Vegetables now. But of course most importantly, it was amazing to have a nice getaway with good friends and also to meet new friends! I really recommend you to check out the iLuminate show and just have a nice and relaxing time. Check out Resort World Genting for their package prices and you can also get some good deals with their room package. I do hope you will have an amazing, electrifying, fantastic and WOW time with iLuminate!